A tale of two visits. 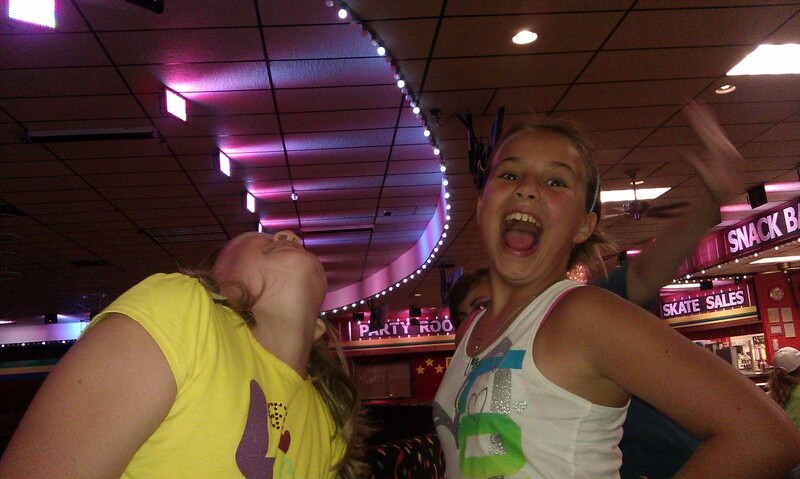 My kids love to roller skate so we visit area rinks pretty often. 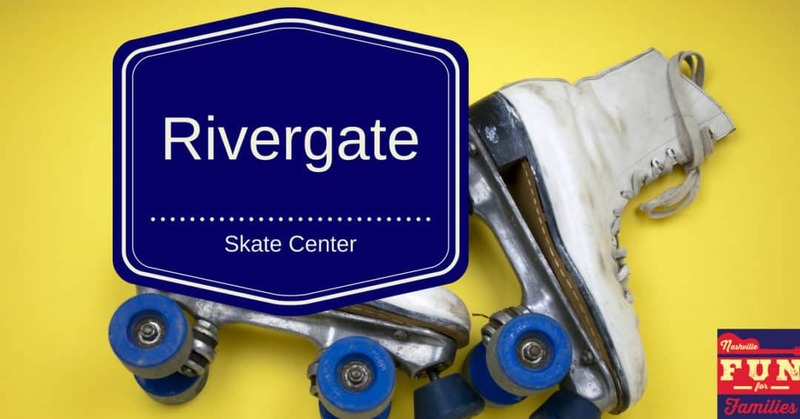 We first visited the Rivergate Skate Center on a Saturday. I had to park in the overflow lot. That should have been a huge red flag warning of what was to come. Once we entered the building the full weight of the mistake crashed down upon me. 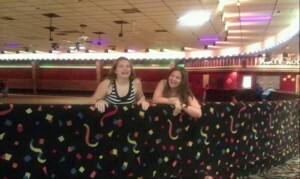 The rink was crammed full of people. Generally rinks have Friday and Saturday night skate times that are for older teens. Weekend morning and afternoons are usually populated by kids and parents. Not so with this particular place on that day. 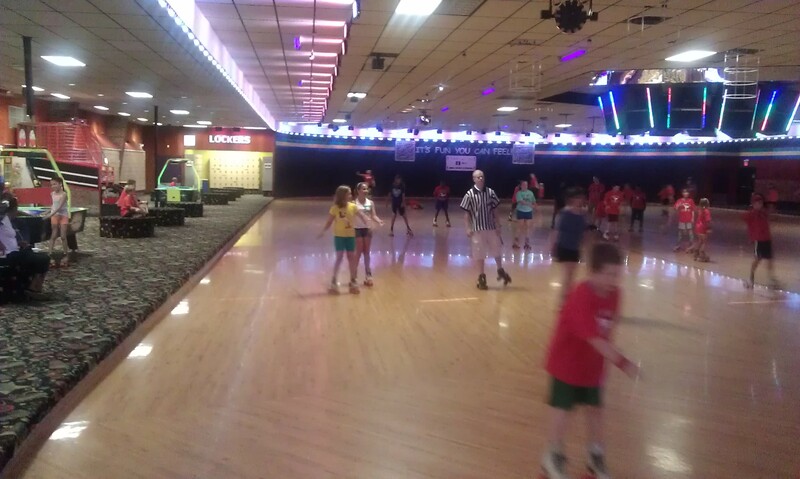 The actual rink was teeming with skaters. An amateur skater never had a chance. 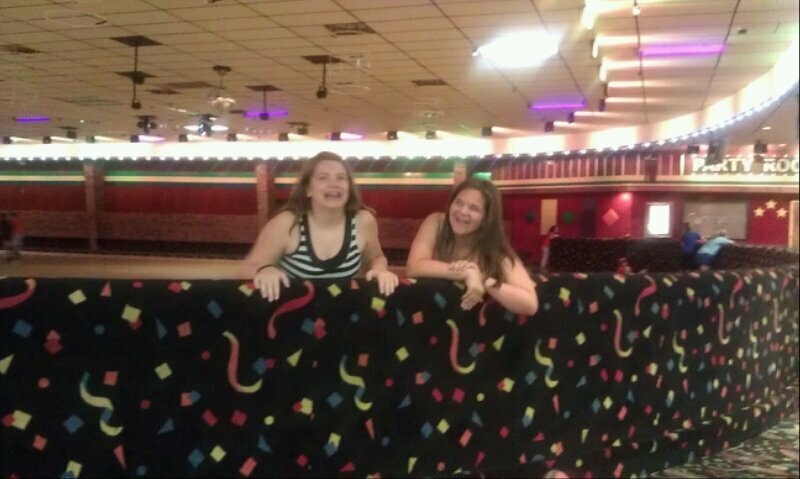 It’s a sunken rink with no handrails. Perfectly fine for an experienced skater. Not too great for a newbie. There are probably 20 tables in the snack bar area. Every one of them was full. But the crowds weren’t the worst part. The nightmare was the music. Skating rink music is pretty predictable. Top 40 pop songs, heavy on Justin Bieber and boy bands, repeat until closing time. 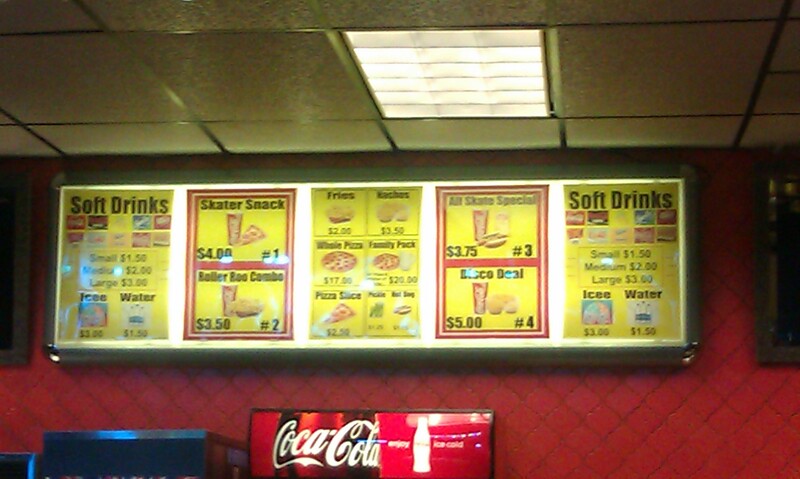 This rink had a much more rap heavy playlist. And that would have been ok but the volume was monstrous. I have never been in a place that played music that loud. And then because the music was so loud all the people in attendance had to scream at each other just to have conversation. We lasted 20 minutes before we ended the trip. I vowed we would never return. Our second trip was on a Thursday afternoon during summer break. We parked in the main parking lot (yeah!). There were probably 30 kids there when we arrived. 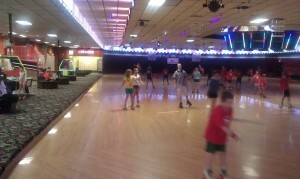 Plenty of open tables, no wait on skate rental and the sweet, sweet sound of appropriate volume music. The kids loved it. I loved it. This is why everybody deserves a second chance 🙂 Based upon many trips to Rivergate Skate Center since that first visit, I think that experience was just a perfect storm of bad timing. Every time we have visited since, the crowds have been manageable and the music volume perfectly acceptable. The bathrooms were clean. 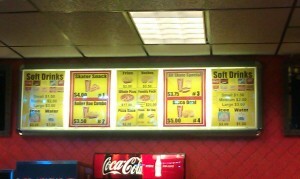 The snack bar was reasonably priced and staffed by a very nice teen. And remember, roller skating is great exercise so it’s a wonderful activity to get your kids moving when it is too hot, too cold or too wet to play outside. After a three hour trip to the skating rink, you will drive home with a car full of exhausted kids. Hours change seasonally so be sure to check the website before you plan your trip. Admission varies depending on the day and time between 4 and 7 dollars per person. 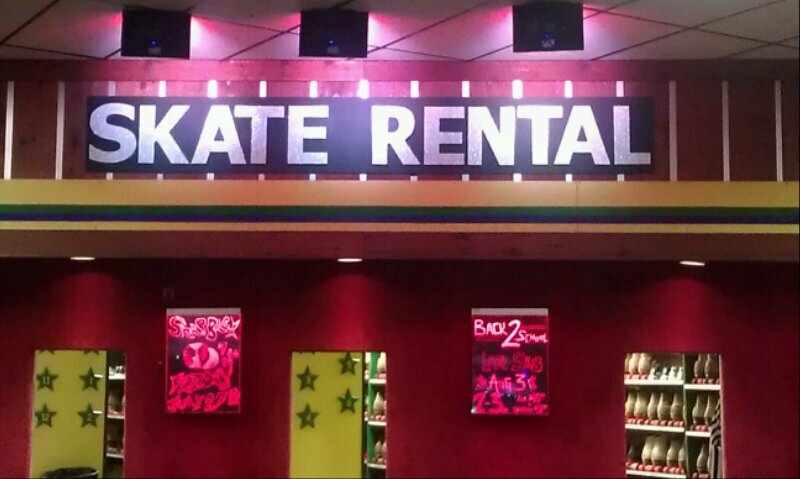 You can bring your own skates or rent a pair for 3 dollars. 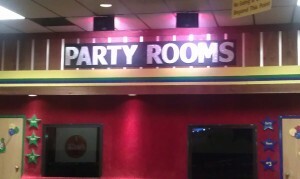 They have 3 party rooms available for birthdays or private parties. Details are here. They also have special events from time to time including late night/early morning hours. The special events calendar is here.